Banksy work is created with hidden messages and appeal to a wide population. There is a massive amount of interest in this mysterious artist. 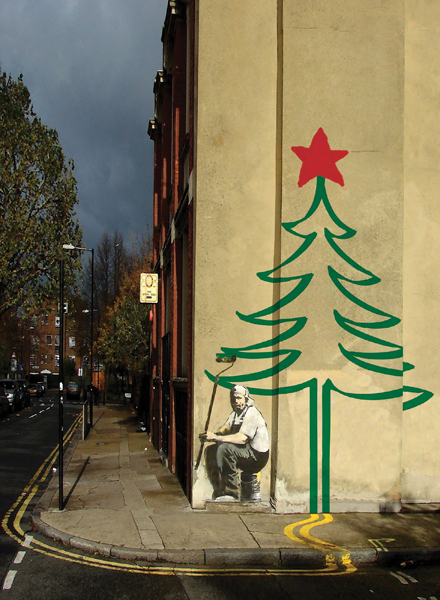 This Bansky personalised Christmas card is suitable for corporate, business, company and personal use.